We have been eating dinner outdoors almost every night this summer and for good reason: toddlers are messy eaters!! Meal time can be hectic when you’re racing the clock before the bed time hours and trying to make the most of the ingredients you happen to have on hand. By moving mealtime outdoors, everyone is happier. My boys can play basketball or ride their tricycles while I prep dinner and my husband enjoys a cold beer. The fact is, when you live in Michigan, you don’t take the warm, fresh air for granted and that has been the theme of our summer. 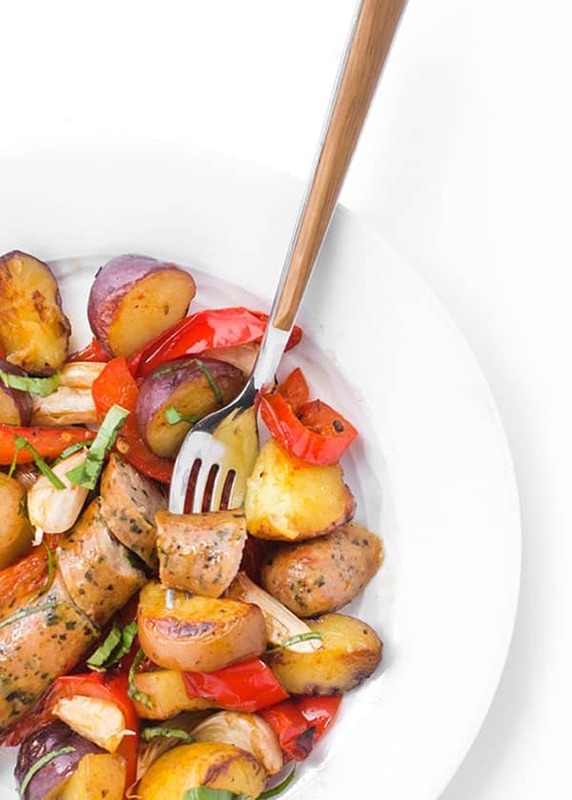 Grilled sausage, peppers and potatoes is a tribute to my husband’s home town of Boston and the famous Fenway grilled Italian sausage carts. 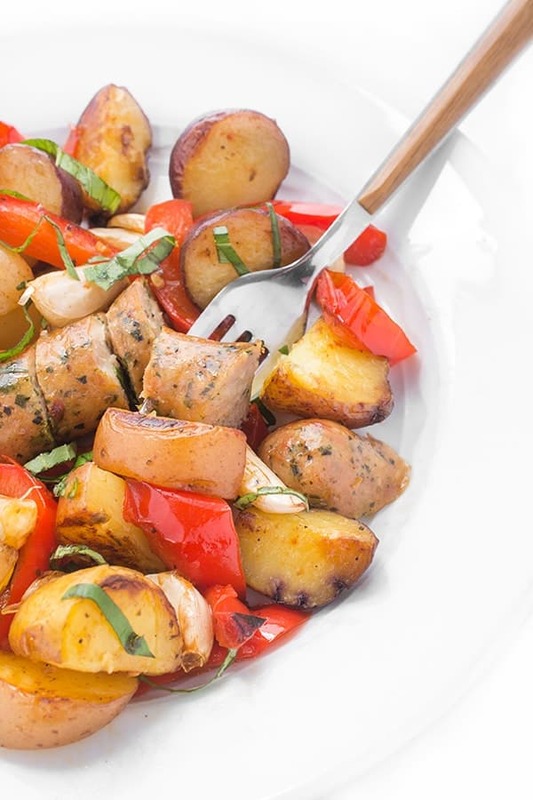 To turn it into a healthy mess-free entree, I created these simple grilling packets and added The Little Potato Company creamer potatoes. Red pepper slices and whole garlic cloves are tossed in olive oil and oregano then caramelized until sweet and tender. The end result? A family-friendly dinner that takes just minutes to prepare and requires minimal dishes and clean-up. Summertime dinner perfection. Tear out 8 pieces of tin foil (about 12 inches each) and lay two pieces on top of one another so that you have four packets ready to be filled. Grill for 9-11 minutes, turning once. The goal is caramelization as the sausage is already fully cooked. 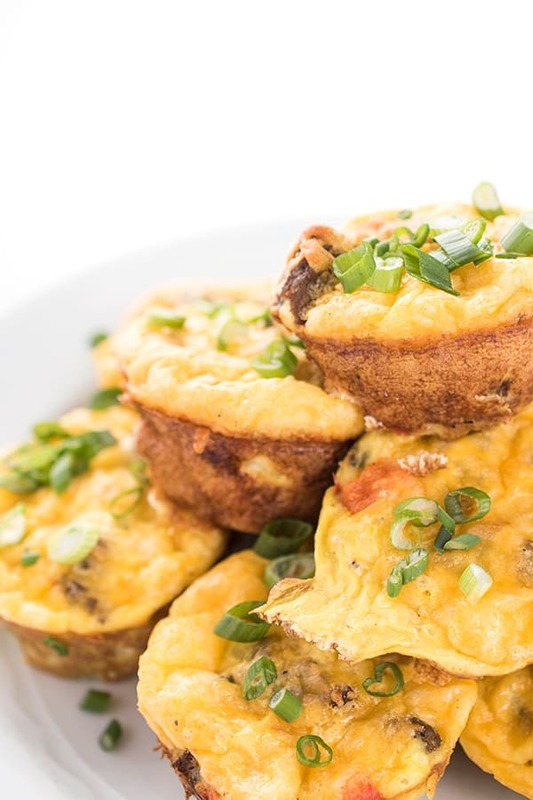 For more great grilling recipes, check out my Pinterest board! I love sausage and this meal looks great. Got to test out this on Wednesday. Oh good let me know what you think! I adore grilling packs, this is seriously stellar. Plus you could make it in the oven during winter. So it’s very versatile. Such a great recipe. And I love their potatoes. I find the quality out of this world. They make everything so easy!!! 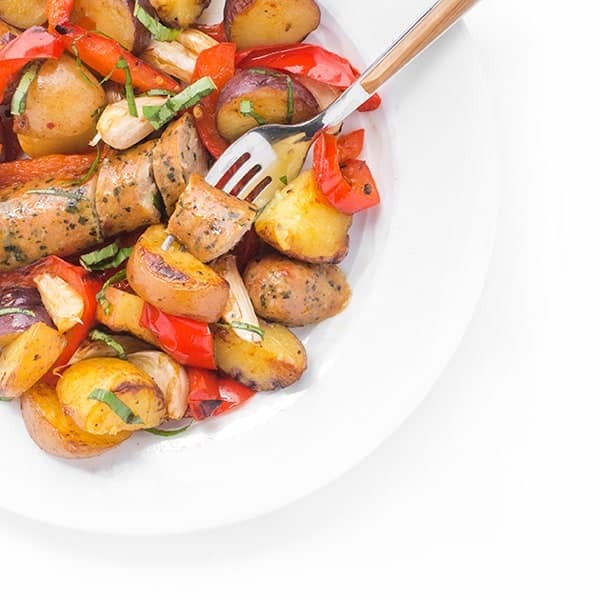 You just can’t beat sausages and potatoes together (looks as though we were on the same wavelength this week). I’ve had those Fenway grilled Italian sausages. Epic! We make a version of this all the time in a skillet during the winter. Time to put it on the grill. Also, love those cute taters! Aren’t they so dang cute?? 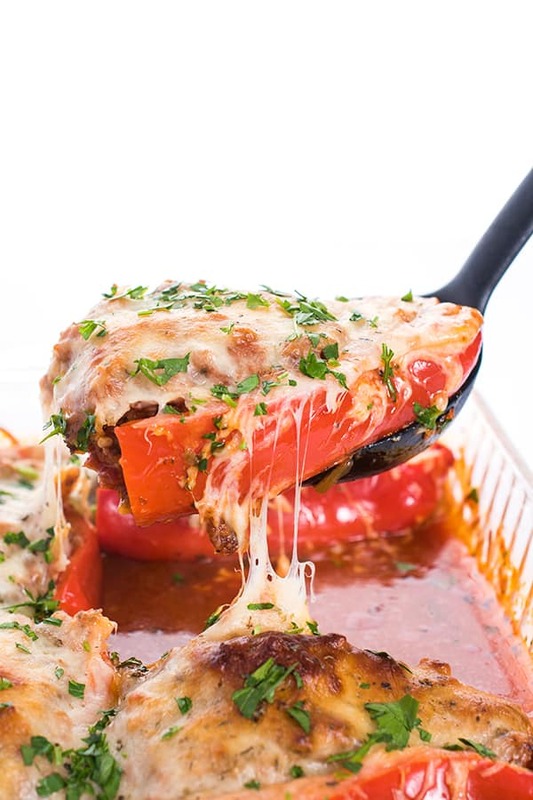 I love one pan meals and this one looks particular yummy! Great fuss free meal – I like dinner that come together this way. And who doesn’t like a sausage meal that reminds them of Boston!! Awww yes!! I miss Boston so much! 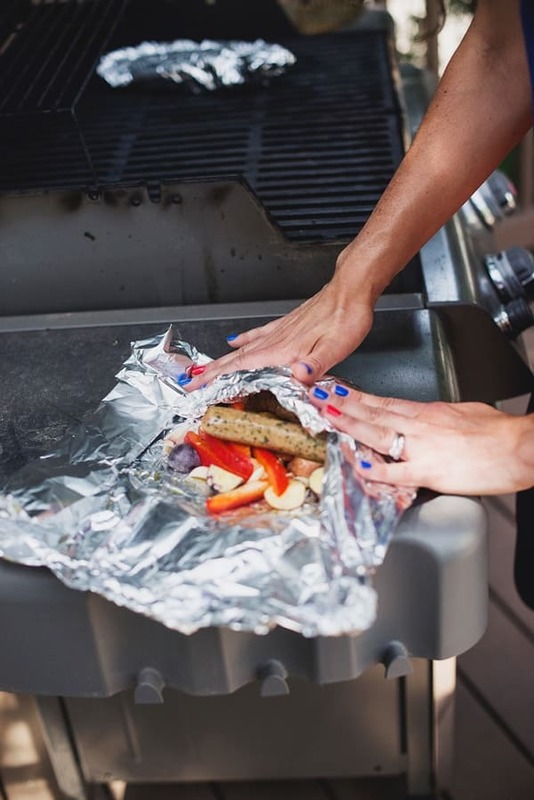 Love packets for the grill! Such a terrific dinner in the summer. Grilling is perfect these summer days. I love super easy dinner’s like this! It’s exactly what I need during the week! I am a huge fan of EASY! Love how easy this is Liz and I know it is something my entire family will LOVE. I love meals like this, they are easy to make and easy to clean! I am all about grilling my meals for as long as possible! Heck yes! I love easy!